In order to create custom standards, you must first have authorization from your district. Once you have created a custom standard, you can use it in a tracker or curriculum map. Click on Maps, then click on Custom Standards. Custom standards can only be added to an unpublished course. Select a course that has not yet been published, or click Add Course to create a new one. 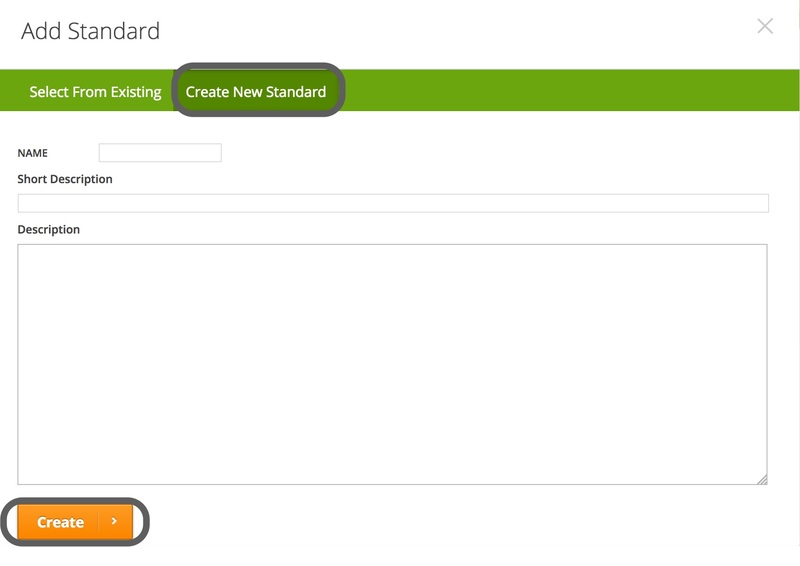 If you're creating a new course, click the Add Standard button. Otherwise, hover over the orange menu button and select Add Standard. Click Create New Standard. Enter a Name, Short Description, and Description for the custom standard. When you are finished, click Create. The custom standard will be appear on the top of the course list. You can drag and drop standards to rearrange them. After you've added and rearranged the standards, hover over the orange menu button and select Publish, or go back to your list of courses and click on the Publish button.